To be productive in a digital environment, you’ve got to have good digital tools. Michael Hyatt rates and reviews his top 10 tech tools to increase productivity. Learn Michael’s favorite productivity tools. Get practical solutions to common problems in working with digital tech. Understand the different philosophies behind using technology. Discover the very latest productivity tools. Find out which tools Michael no longer uses. 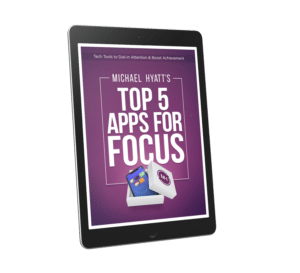 Discover the top 5 tools Michael recommends to dial in attention and boost achievement.